Celebrate the beginning of another academic year by becoming acquainted with the new Engineering faculty appointments who will join us during the 2008-2009 academic year. Jason Anderson’s research interests are in Field Programmable Gate Arrays (FPGAs) and other programmable hardware architectures, tools, and applications, especially computing and embedded systems applications with power and area constraints; low-power design at HDL, gate, circuit, and process technology levels; tools and algorithms for the automated synthesis of FPGAs and other ICs; VLSI architectures and circuit design; and software Engineering for large-scale systems. An inventor on 15 U.S. patents, Professor Anderson spent 10 years working in the semiconductor industry in San Jose, California, and Toronto. Prior to joining the The Edward S. Rogers Sr. Department of Electrical and Computer Engineering, he was the Principal Engineer and Manager at Xilinx. Professor Anderson has received a number of awards and honours, including the Ontario Graduate Scholarship in Science and Technology, and the Ross Freeman Award for Technical Innovation. Aimy Bazylak’s passion for alternative energy led her to join a fuel cell research group at the University of Victoria for her graduate studies. From there, she broadened her expertise from micro fuel cells to a fuel cell with promise for transportation application—the polymer electrolyte membrane fuel cell (PEMFC), which typically employs hydrogen and oxygen gasses as fuel and oxidant, leaving only heat and water as byproducts. During her academic studies, Professor Bazylak received the NSERC undergraduate and postgraduate scholarships, the Hydrogen and Fuel Cells Canada Scholarship for Academic and Research Achievements, and the Bullitt Environmental Fellowship for supporting leadership in the environmental field. At the University of Toronto, Professor Bazylak is excited to combine her three passions: alternative energy research, teaching, and public service. During his undergraduate studies, Jason Bazylak served as an instructor at an Engineering camp where he mentored young aboriginal students. After working in manufacturing Engineering, Lecturer Bazylak joined the University of Victoria’s Design Engineering Office. Lecturer Bazylak now brings his Engineering, education, and design experience to his new role at the University of Toronto. 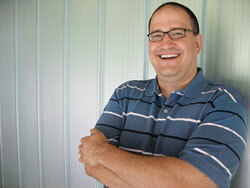 (BSc, Purdue University, 2002; MSc, University of Wisconsin – Madison, 2004; PhD, University of Wisconsin – Madison, 2008). 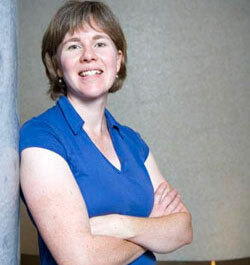 Natalie Enright Jerger’s research focuses on computer architectures, specifically ways in which to optimize communication between processing cores and memory. Professor Natalie Enright Jerger will join The Edward S. Rogers Sr. Department of Electrical and Computer Engineering in January 2009. While studying at the University of Wisconsin, she was the recipient of the IBM PhD Fellowship and the Peter R. Scheider Distinguished Graduate Fellowship. Ashish Khisti’s research field is in the transmission and security of information and wireless communications and multimedia systems where he uses tools from information and coding theory and statistical signal procession to solve these problems. 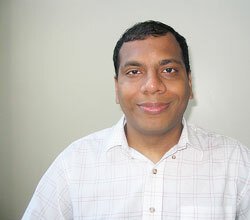 His research has examined the role of physical layer in wireless systems for providing confidentiality of information. In the area of multimedia systems, Professor Khisti has used principles of distributed source coding to develop a robust hash function for applications such as secure biometrics and media authentication. Professor Khisti is the recipient of the Harold L. Hazen Teaching Award and the Joseph Levin Masterworks Award from the EECS Department at MIT. He has also received a Hewlett-Packard PhD Fellowship, NSERC Fellowship for Postgraduate Studies, and the Lucent Global Science Scholar Award. Dawn Kilkenny’s research interest is in intracellular signaling and celluar interaction with the extracellular environment, particularly during migration. 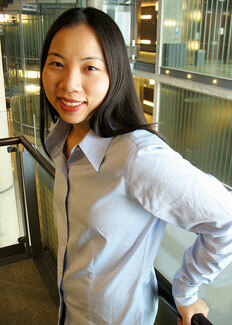 Her specific interests relate to fibroblast growth factors (FGFs) and signaling through FGF receptors. Prior to joining IBBME, Professor Kilkenny was a Senior Research Specialist at the Cell Imaging Shared Resource, which is a microscopy imaging facility, at Vanderbilt University in Nashville, Tennessee. 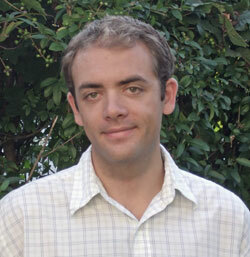 Philippe Lavoie’s area of research is flow control and turbulence. The focus of his research is to better understand the fluid flows associated with modern transportation systems, like aircraft, in order to reduce their environmental impact by reducing drag and noise emissions. Before joining UTIAS, Professor Lavoie spent two years working as a Research Associate with the Aeronautics Department at Imperial College in London, England. Professor Alison McGuigan’s research areas of interest are in how to design, organize, and assemble living biological materials such as tissues. Her research combines both Engineering and developmental biology principles and will include the creation of tools and strategies to organize living materials and developing quantitative models to describe the design and assembly process of living materials. 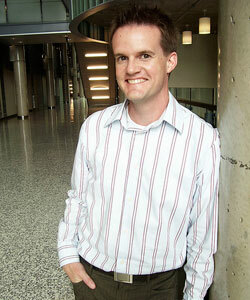 Before joining the University of Toronto, Professor McGuigan was a Post-Doctoral Fellow at Harvard University from 2005-2006 and Stanford University from 2006-2008. 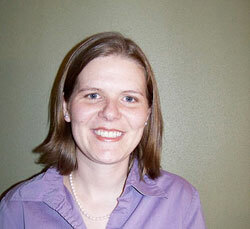 She was the recipient of a Stanford University Dean's Post-Doctoral Fellowship in 2006-2007. Mary Nagai is particularly interested in understanding the basic cellular and molecular level changes that take place during spinal cord injury and how these changes can be manipulated to improve the prognosis for patients with spinal cord injury. 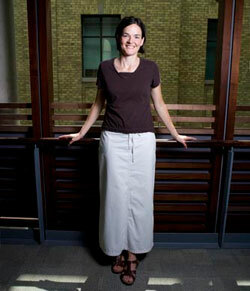 Her post-graduate clinical research studies were undertaken at the University of Manitoba, Alfred I. duPont Hospital for Children, and the University of Toronto. Professor Nagai will be developing a research program in the area of spinal cord injury, specifically, the implementation of a new and unique flexion-distraction spinal cord injury model, which was developed at Alfred I. duPont Hospital for Children. 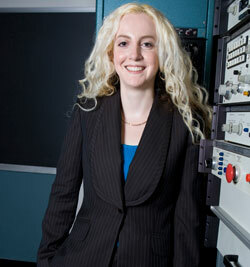 Goldie Nejat’s research work is in the areas of robotics and mechatronics/biomechatronics. In particular, her work focuses on the design and development of intelligent assistive robots, assistive devices and wireless sensor agents. Professor Nejat’s highly interdisciplinary research has important applications in the areas of rehabilitation, patient care, search and rescue, emergency response, surveillance, and security and manufacturing. 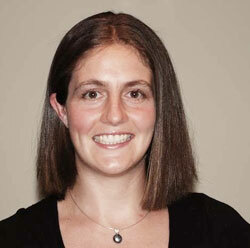 She currently holds an NSERC University Faculty Award. 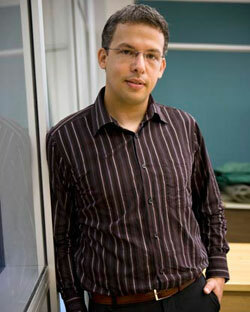 Before joining U of T, Professor Nejat was an Assistant Professor for three years at The State University of New York at Stony Brook. A Licensed Professional Engineer, Jane Farwell’s main teaching interests, in addition to solid fundamentals, are to improve the effectiveness of Engineering learning and to challenge students to develop practical thinking skills. Drawing from a variety of fields, including business, marketing, politics, healthcare, and Engineering, she achieves this goal by providing students with practical applications of the concepts taught. In addition to her teaching in Engineering and technology, Lecturer Farwell brings industrial work experience in design Engineering, manufacturing management, and Six Sigma quality. John Hadjigeorgiou’s teaching, research, and consulting activities are in the areas of rock characterization, reinforcement and support, and mine design. With more than 20 years of pertinent experience in Canada, Australia, Africa, and Europe working in Mining and Geotechnical Engineering, he joins U of T as the Claudette MacKay Lassonde Chair in Mineral Engineering. He has authored and edited books on ground support, surface support in mining and on the challenges in deep and high stress mining. He has published over 100 technical publications, received the John Franklin Award in Rock Mechanics in 2001 from the Canadian Geotechnical Society, and the Rock Mechanics Award from the Canadian Institute of Mining and Metallurgy in 2007. 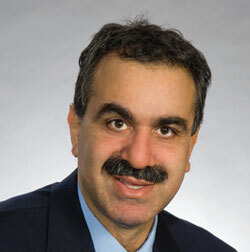 Professor Hadjigeorgiou will join U of T in 2009 from Université Laval where he previously served as Head of the Department of Mining, Metallurgical and Materials Engineering. The principal purpose of Craig Steeves' research is to improve the efficiency and performance of aerospace systems by closely integrating enhanced functionality into lightweight structural systems. His research combines mechanical models of thermostructural behaviours with models of other physical phenomena to achieve optimal component-level designs in a multidimensional and multidisciplinary design space. 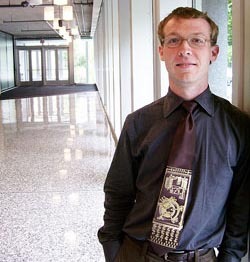 Currently researching topics related to hypersonic flight, including shape morphing structures, low thermal expansion lattices, passive heat shielding and thermionic power conversion at the University of California - Santa Barbara, Professor Steeves will join the University of Toronto Institute of Aerospace Studies (UTIAS) in January 2009. Zeb Tate's research area is in large-scale power systems; more specifically, power system modeling and simulation, situational awareness, data visualization, and event identification. In addition to the three fellowships Professor Tate received while studying at the University of Illinois at Urbana-Champaign--National Science Foundation Graduate Research Fellowship, Illinois Distinguished Fellowship, and EA Reid Fellowship--he was also involved in energy education outreach efforts for K-12 students. From August 2007 to December 2008, Olivier Trescases is working in Austria with the concept-development team at Infineon where he is developing flexible power management strategies for automotive integrated circuits. His doctoral thesis, entitled "Integrated Power Supplies for Portable Applications" deals with efficiency optimization techniques and mixed-signal control schemes for embedded low-voltage dc-dc convertors. Professor Trescases past research topics include high-efficiency switch-mode power supplies, quasi-resonant dc-dc converters, dynamic voltage/frequency scaling in deep sub-micron VLSI circuits, all-digital class-D audio amplifiers and motor drives for hybrid electric vehicles. 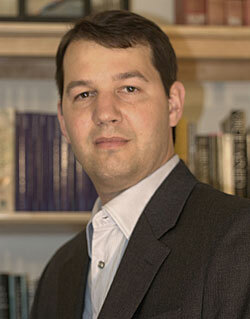 In 2003, Professor Trescases received the IEEE Vehicular Technology Grant and the IEEE Hackbusch Award. He has authored several papers in the area of high-efficiency power supplies, for which he has received two IEEE best-paper awards in 2003 and 2006.